Food and drink happenings in Adelaide and beyond, including East End laneway pop-up Beer & Bubbles, Hopganda at The Highway, yoga + wine at Plant 4 Bowden, gin for a good cause, and an all-American barbecue lunch at Cry Baby. More than 20 boutique breweries will be showing off their beers alongside ciders and local and international sparkling wines at this laneway event in the East End. East End Cellars owner and event director Michael Andrewartha says a highlight will be the first public tasting of Daosa, a champagne-method sparkling wine made by Adelaide Hills couple Xavier Bizot and Lucy Croser. Beer & Bubbles, on Vardon Avenue, will also have a gin bar stocked with KI Gin, and dishes from East End restaurants Nola, Mothervine, Exchange and East End Cellars. Tickets are $39 plus a booking fee and include event entry, glass, and 15 tasting tokens. It’s all about hops at Plympton’s The Highway this Sunday, with a range of IPAs, New England IPAs, Double IPAs, Red IPAs and more from brewers including SA’s Big Shed Brewing and Pirate Life, Mornington Peninsula Brewery, Queensland’s Ballistic Beer, and NZ’s 8 Wired Brewing and Garage Project. The $20 entry includes a tasting glass, canapes and a post-event beer on the deck, with 100ml samples available from $1. Bookings are essential for the two Hopoganda sessions, which run from 11.30am-3pm and 4-7.30pm. Wine for Yoga Lovers (more about them here) is heading to Plant 4 Bowden for this event, which will begin with a yoga session, followed by a chance to sample wines from the Wine for Yoga Lovers range, then maybe buy a glass or bottle and listen to tunes from acoustic duo Girls Next Door. Plant 4 eatery My Grandma Ben will have gourmet grazing boxes available throughout the afternoon, including cheese, dips and pickles with home-made lavosh and sourdough baguette. The yoga begins at 4pm and tickets (available here) are $30. 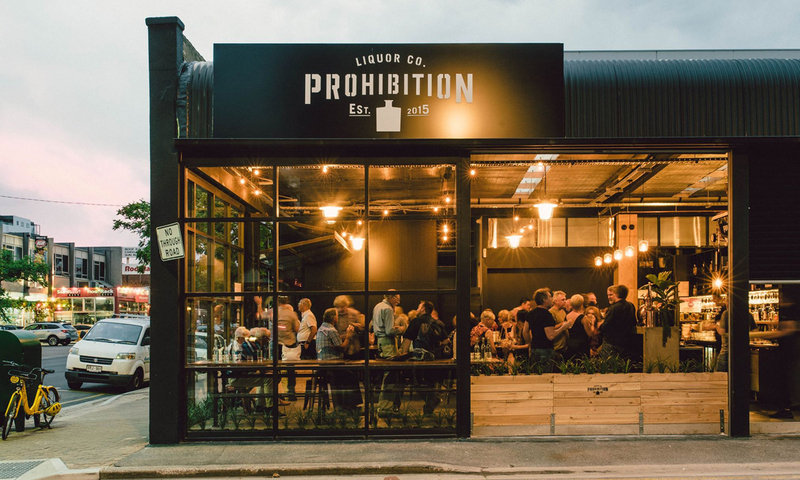 Raising funds for The Hunger Project Australia, this Prohibition Liquor Co event promises “an evening of delectable food, gin and fun”. Tickets (available here) are $70, and guests will enjoy a tasting flight of three Prohibition gins (or two glasses of wine/beer), plus food from Yvonne’s Table, live music from LACIA (aka vocalist and producer Lesley Williams) and the opportunity to participate in a gin masterclass. 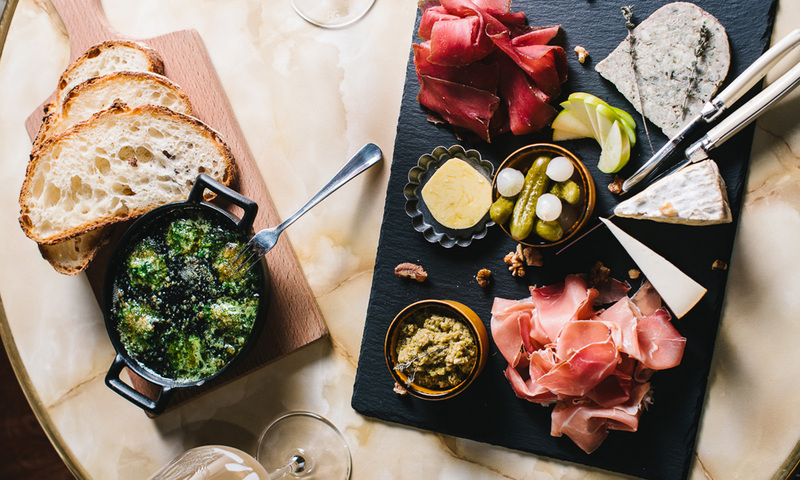 The Wrattonbully region will be the focus of the next Women in Wine event at Electra House’s Level One restaurant, with guest winemakers Jane Richards of Eight at the Gate, Susie Harris of Land of Tomorrow, and Sue Bell of Bellwether Wines. It will be followed by a McLaren Vale dinner on December 12 featuring Corrina Wright from Oliver’s Taranga, Vanessa Altman from Switch Wines, and Gill Gordon-Smith from Fall from Grace. At the $75pp dinners, each winemaker matches one of their wines to a course from Level One’s modern Asian shared-plates menu, with the meal followed by a Q&A session. There will be plenty of fun for rum lovers at this Hains & Co evening with Mount Gay Rum brand ambassador Mark Hickey. As well as learning about the history of the rum, guests will get to enjoy a bespoke cocktail and five variants of Mount Gay, while nibbling on bites from the Hains galley. Tickets are $40 (including a 50ml Mount Gay Black Barrel rum and collector’s tin to take home). The Croatian Food and Wine Festival or “Fešta” is celebrating its 15th year on November 24 with a showcase of traditional Croatian heritage from dancing and games to, of course, food and wine. 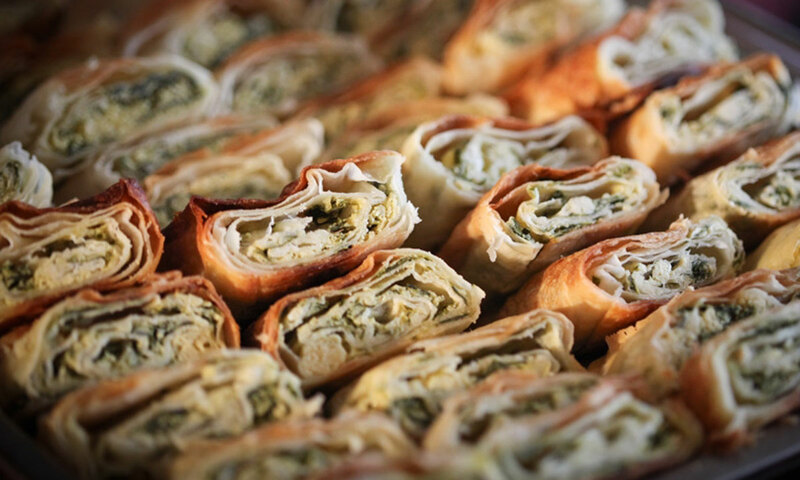 Edible options will include spit-roasted meats, sarma (stuffed cabbage rolls), chevapchichi, “Croatian pita” (rolled savoury pastry) and cakes … but we’re told it is acceptable to head straight to the stand selling krofne (fluffy Croatian donuts). Fešta is on from 11am until late at the Croatian Sport Centre, State Sports Park, Gepps Cross. Cry Baby bar in Solomon Street is hosting an “all American-style BBQ lunch” with catering by Look Mum! No Hands! and drinks from Mismatch Brewery, Hills Cider and Alpha Box & Dice. Cry Babycue will run from 1-4.30pm, with live music from 1pm. Booth tickets have already sold out but there are still single tickets available for $65 including three drinks and “an array of BBQ”. More than 40 different varieties of bubbly will be available at Apothecary 1878’s Annual Champagne & Sparkling Tasting, including French champers such as Piper-Heidsieck, Bollinger and Perrier-Jouët, as well as South Australian sparkling from wineries such as Hentley Farm, Deviation Road, Henschke, Mount Lofty Ranges and Kilikanoon. Earlybird tickets are $65 (booked before November 19), including canapes. To commemorate 150 years of winemaking, Henschke has joined with InterContinental Adelaide for a degustation dinner in the hotel’s Japanese restaurant, Shiki. 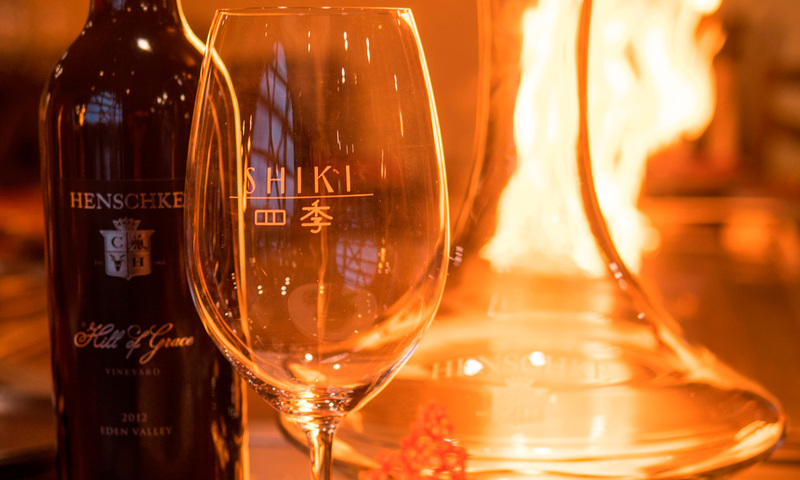 Guests will enjoy a five-course teppanyaki feast designed by Shiki chef de cuisine Kenny Trinh, accompanied by Henschke wine – including a tasting of the iconic Henschke Hill of Grace. Tickets are $245, with the full menu and further details available here. Barossa Valley’s Seppeltsfield Estate is hosting an evening of wine, food, craft, design and more at this late afternoon/evening event. Those attending will be able to “soak up the spring vibes” on the terrace with a cocktail or spritzer from Fino paired with tasty street food, enjoy a glass of Seppeltsfield wine in the revitalised cellar door and try Barossa produce from Owen Andrews Catering in the lounge area. Other Spring at Seppeltsfield activities will include a meet-the-makers opportunity at JamFactory and segway tours. Entry is $10. “An event that happened due to one too many gins” is the tagline for this spirited celebration which will take place in Port Adelaide at the Flour Shed at Hart’s Mill. The Howling Owl will host the main bar, serving a selection of gin cocktails, while Fever Tree Tonic and Hains & Co will host a “garnish bar”. Festival-goers will have the opportunity to taste around 20 different gins from the likes of Prohibition, 36 Short, McHenry, Adelaide Hills Distillery and Never Never, with food vans serving bites outside and live entertainment. Gincident will run from midday until 9pm, with pre-sale tickets costing $25 ($35 on the door). The Smelly Cheese Shop at Adelaide Central Market is holding a special end-of-year Cheese After Dark event combining French cheeses with Champagne including Pol Roger and Pierre Gimonnet NV. Tickets are $95; details here. La Buvette bites at the 2018 Adelaide French Festival.